Can you believe Christmas is almost here again? Unbelievable. 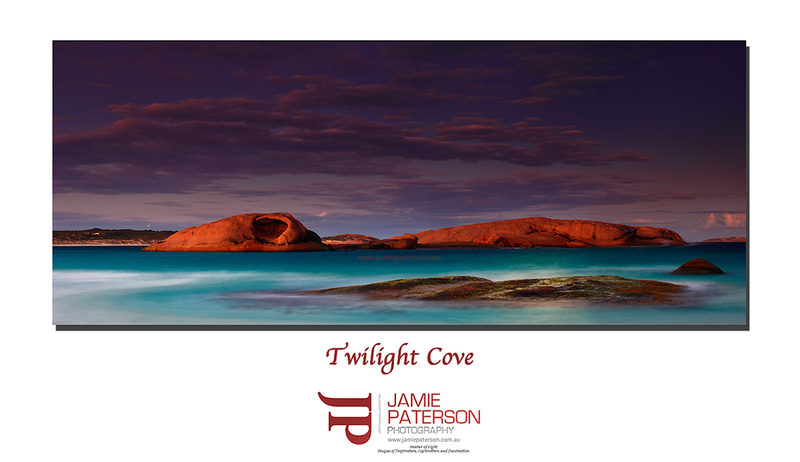 This photo of Twilight Cove in Esperance was taken quite sometime ago and its always been on my list of things to do so I thought I’d finally do it. Let me start by saying that neither the rocks or water have been saturated at all. For those of you who have been down to Esperance you’ll know that the water is a remarkable blue and of course that its freezing cold! I’m hoping to be able to get back down to Esperance soon to capture more of its beauty though this time I might head out to Cape Arid as well as spending time around the town itself. Have a great week everyone and I hope that you’ve all bought you’re presents and avoided the last minute shopping rush. This entry was posted in australian landscape photography and tagged australian landscape photography, Australian Landscapes, beautiful sunrises and sunsets, esperance, seascape photography, seascape photos, sunset, twilight cove, twilight cove esperance, western australia. Thanks for that mate. Are you joining us tomorrow night? I remember you saying last week you were going to be at Cervantes but I thought you may have changed you mind. In many ways really awesome image Jamie. I find the sky too dark, it is a bit weird to have the sky much darker than the foreground I find. With a brighter sky, perhaps a bit of light painted onto the clouds you have gold here! Thanks mate. I’ll have a tinker and see what I come up with. Really nice colours in this Jamie, Would look great large! Maybe a slightly lighter sky but not much. All the best for Xmas & New Year! Thank you very much mate. Really appreciate it. I hope you health improves. Awesome shot Jamie great colours! I definitely have to get down there some time! have a great Xmas and new year. Thanks mate. You should get down there mate, its gold! Thanks for the best wishes and I hope you have a great Chrissy and New Year as well. Thanks for stopping by mate. As I said to Flembot I’ll have a tinker. Thanks for that mate. Great to meet up with you for sure. Did you get a good shot at all last night? I didn’t get much colour. Yep the flies were terrible. This place is awesome and your image has helped me reflect on my time there many years ago. Love the water and rocks there and in this image, sky is a little dark/’overworked’ (?) for my liking but still a top image mate. Thanks for that mate. I’m going to have another play with the image and lighten up the sky a little. I hope you had a great Christmas. Did you get any photograph equipment for Chrissy? Wicked. I can’t wait to see what you come up with. I’m guessing you’re even more driven now to capture even more photographs.